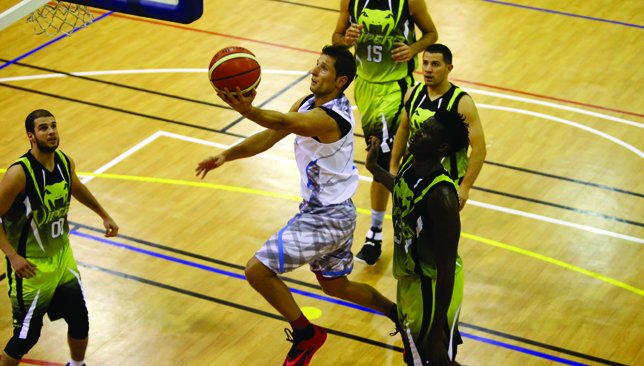 To the hole: Dolphins’ Dejan Radulovic scored a game-high 22 points. The occasion was the Ball Above All Elite League final between Dolphins and Vipers, but the championship stakes were secondary to what was celebrated in the bigger picture – the best players and highest quality of accessible basketball in the region. 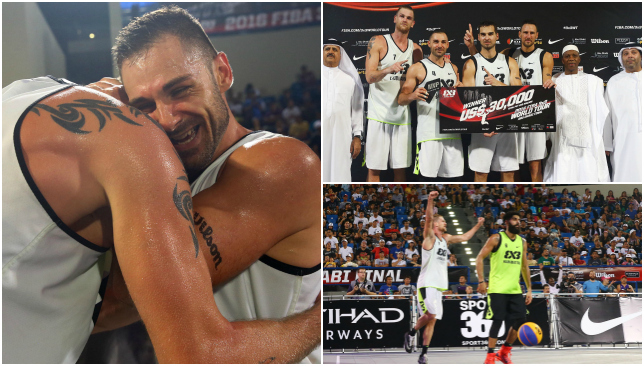 The basketball scene in Dubai is a multifaceted one that caters to different ethnicities and backgrounds. Want to play with fellow Filipinos or Indians? There are plenty of outdoor courts throughout the city, as well as local tournaments that have what you’re looking for. But there’s only one league that consolidates all the talent around and showcases the best the sport has to offer in Dubai: Ball Above All’s Elite division. Australia-born Lebanese Belal Abiad started Ball Above All in 2002 Down Under before bringing it to the UAE in 2013. The Elite League started a year later and since then it’s provided a single home for long-standing squads that had previously been spread out among various leagues and tournaments. “There was only one league happening at the time called the AMW. Everyone in that tournament is basically all the same teams you see now,” said Rafiq Shabib, who started Vipers in 2009. From amateurs to former professionals who’ve represented their national teams, the standard of play, competition and reputation of the league is second to none. The final provided all the evidence needed to back that up. A packed crowd filled the stands at Raffles World Academy’s gymnasium on Monday night to witness the Dolphins defend their crown in a thrilling championship finale. A one-sided result appeared imminent after Dolphins dominated at the start on the strength of their suffocating zone defence, but Vipers sprung in the second half to erase a 10-point deficit and improbably take a two-point lead. Dolphins ultimately reclaimed the lead and held on to repeat with a 62-60 win when a Vipers 3-pointer in the final seconds hit iron. Vipers fell short, but they’ll look to defend their own title in the Sole DXB Ball Above Classic this weekend. The team consists of player who’ve known each other from their university days and from local parks. They also have three players who’ve played professionally in Syria – Rami Khatib, Omar Karkoukli and Mouheiddine Kassabelli. Professionals, however, aren’t exclusive to Ball Above All. 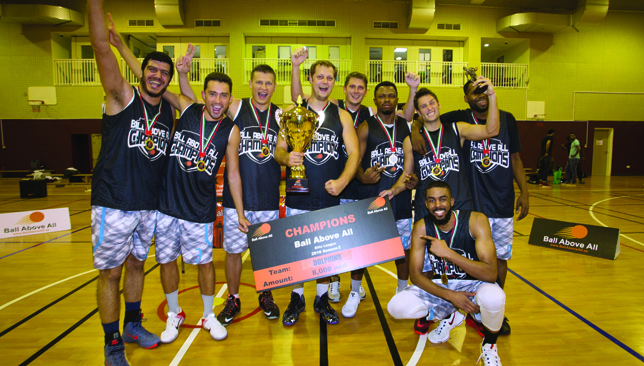 As little as may be known about the UAE Basketball Association, it still features former NBA players at local clubs like Al Wasl and Al Ahli. But aside from a handful of names, the talent level of the clubs isn’t all that superior to the best teams in Ball Above All, according to Shabib. The difference, of course, is that the teams in Ball Above All don’t get paid to play. The players have day jobs and fairly common lives, but that only further serves to make the league accessible to everyone. She shoots, she scores: Competition was fierce in the 3x3 tournament in Sharjah. Rarely am I ever out of my element near a basketball court, but at the Arab Women Basketball Tournament, I admittedly felt out of place. I’m neither Arab nor a woman, so despite my love of the sport, I was a fish out of water as a minority among the sea of abaya-clad spectators at Sharjah Ladies Club to watch the 16 teams from eight Middle East and North Africa (MENA) countries. But it didn’t take long to feel like I was watching basketball that could have been happening anywhere in the world. Part of that was the aesthetics and atmosphere, with Fetty Wap blaring in the background and the hijabi players not looking all that out of place considering the amount of compression-wear and padding the average basketball player is covered in from head to toe these days. But more than anything, what made the scene recognisable was the palpable competitive spirit and skills the women displayed. The more I watched them play and the more I spoke with them, it became clear that what we had in common transcended race, religion, gender, or language: passion for basketball. My preconceived notions coming into the experience had less to do with the fact these were women and more to do with where they’re from. Football trumps all in the MENA region, with other sports playing second fiddle for the most part. Basketball is no different, but the subset of women who play the game is even smaller. That subset is growing though. Just ask UAE’s Amal Bin Haider, who was born and raised in Dubai and plays for Sharjah Ladies Club. “It’s so different now,” Bin Haider said. “Before there were not many players and I got recruited here at Sharjah Ladies Club to play and the environment was different. “I thought there were no women playing basketball but over here in Sharjah it was totally different. Bin Haider’s squad fell in the semi-finals to eventual champions Algerian G.S. Petroilers Team 1, but results were secondary to the experience gained at what the 27-year-old felt was a valuable tournament. “Especially here in the UAE and in Sharjah, it gives an opportunity to all women to show women can play sports, even basketball,” she said. That mindset extends beyond the UAE, with Hanna Galal of Egypt’s Sporting Club cherishing an opportunity that she feels is just now becoming a regular occurrence. “They used to not care and just have basketball for guys because they win and they travel, but lately everyone is starting to watch basketball, to understand the rules and regulations,” said the 18-year-old. “Especially because of the NBA, everyone in the world is watching it, people are becoming basketball fans. It’s something really nice, if you have friends and they understand your sport and they come cheer for you, you feel proud of yourself when someone watches you play. These women love to play basketball, that much is obvious. But that love isn’t confined to the four lines on the court. They live and breathe the sport in their everyday life and are as much fans of the game as they are competitors. “He’s a monster, he’s a beast,” Bin Haider said of her idol LeBron James, whose socks and shoes were on her feet during the tournament. James more than once came up as a favourite player, not necessarily for being the best in the world at the moment, but for the way he plays. As Galal described it, “It’s a ‘we’ in the game, not an ‘I’” and LeBron’s Cleveland Cavaliers needed that team-work to improbably beat the Golden State Warriors in the NBA Finals this past June. “I went by myself in the road and started celebrating, going ‘the Cavaliers won!’” Bin Haider said of her jubilation. Not just women’s basketball, but women’s sport in general in the Gulf region still has a long way to go, but it certainly isn’t lacking the main ingredient needed for success: passion. The more these women get on the court and do what they love, the less they’ll surprise. It was their first title since 2013. The Slovenian squad, led by Jasmin Hercegovac’s 11 points, defeated Hamamatsu of Japan 21-12 to get back to the FIBA 3×3 summit since winning the crown in 2013. And not only were we on hand to report on the drama, but also with a snapper to bring you some of the best images from the event. Were you at the tournament and what did you make of the 3×3 action? We want to hear from you so comment below, tweet us using #360fans or get in touch via Facebook. Two players vie for the ball. The match had been a tense affair. But Ljubljana held their nerve. Hamamatsu of Japan were their opponents. The match ending 21-12 in favour of the Slovenians. Jasmin Hercegovac was the star. The win caused wild celebration. The Slovenian team enjoying their win.